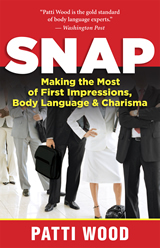 Body Language Expert, Presentation Skills Trainer & More! Click here to see what Patti's clients have to say! Patti Gets your Audience Up & Out of Their Chairs! Patti Wood is an internationally recognized nonverbal communication and human behavior expert. She has conducted years of research in the field of human behavior.The media seek her insights on celebrities, politians and people in the news. Patti Wood MA is an international speaker and trainer. She has designed and conducted keynote speeches, workshops and convention seminars for hundreds of companies and associations. Patti delivers over 100 presentations a year and 75% of her business is from clients inviting her to return. Clients describe her as a dynamic, high-energy, powerhouse presenter. For over twenty five years she has worked with top companies such as Deloitte, Porche, GTE, Bristol Myers, Price Waterhouse, Chick-Fil-A, Dupont, Elli Lilly, Walt Disney World Co. BMW, Merck Pharmaceuticals, GE, Lucent Technologies, The Kroger Company, Nortel Networks, OMEGA Watches, Nextel, Hewlett Packard, The Wharton School of Business, John Hancock, Merrill Lynch, Pfizer, The IRS, The EPA, IHG, Henry Ford Hospital, Georgia Pacific, EMD Serono/Merk and many more. Patti develops a high energy, laughter-filled relationship with her audience that leaves participants talking in the halls about what they've learned. She is interviewed an average of twice a week by media around the world including: The Today Show, CNN, PBS, National FOX News Network, Good Morning America, The History Channel, The Talk, Steve Harvey, The BBC, the Discovery Channel, CBS, VH1, E! 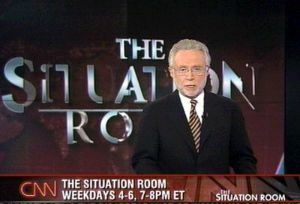 Entertainment, The Wall Street Journal, Fortune, Esquire, Reuters, UPI, ESPN, Entertainment Weekly, USA Today, Oprah, Rachel Ray, Sports Illustrated, The Miami Herald, Men’s Health, The Chicago Tribune, Details, SPIN, Elle, People, ESPN,US Weekly, The New York Post, The London Times, The Los Angeles Times, In Touch, Life and Style, Jane, Glamour, Cosmopolitan, First for Women, InStyle, The Toronto Sun, Psychology Today, TV Guide, Women’s Own, Seventeen, Ladies Home Journal and Redbook and more as a body language expert. Her broad knowledge and research on nonverbal communication led to her positions as the National Spokesperson for Pup-Peroni, The Natural Dentist ®, Wrigley’s Spearmint Gum®, Benadryl® and Vaseline Intensive Care Lotion®. Patti has spoken to audiances around the world. Patti has served eight years on the board of National Speakers Association, Georgia Chapter, and has been an active member for over twelve years. Patti was voted Speaker of the Year and Member of the Year by her peers in the prestigious organization, NSA. As an officer, she managed the Speakers' School, an annual showcase of speakers and public relations. She recommends that all new speakers join their local chapter of NSA because there is so much to learn from each other. Patti was a university instructor in communication for eleven years. Her B.A., Master's degree and doctoral course work are in Interpersonal and Organizational Communication. Time Magazine cited her Body Language course at Florida State University as a top college course in the nation. It was so popular that over 150 students registered every semester and people in the community sat in on her lectures. Patti also taught college courses in Public Speaking, Human Relations, Interpersonal Skills, Small Group Discussion and Business Communication. She is a former evening class teacher at Emory University in Atlanta, Georgia.